Mass shootings have become such a “fact of life” in the Western world, that there are now website “trackers” of these awful events. This seems to have started with the question of whether mass shootings “have always been with us,” or whether they are indeed, becoming more frequent. Writers, observers, political figures, journalists, and others have been opinionating on this question now for several years. The positions that various public pronouncements have taken, have been all over the map on this vexing question. Persons of a traditionalist point of view have not given en masse the perhaps expected response that we should worry so much publicly about this supposedly new mass phenomenon. Persons who have been publicly sanguine about this issue have been social conservatives who often react with a “don’t rock the boat,” view and can be those from the Conservative Right, or those from the often worry-wart Socially Left. Political persuasions have interestingly enough, not seemed to have shaped persons’ opinions as much stereotypical thinking might have trained one to expect. Do We Know Any More 50 Years After Texas Tower Sniper? 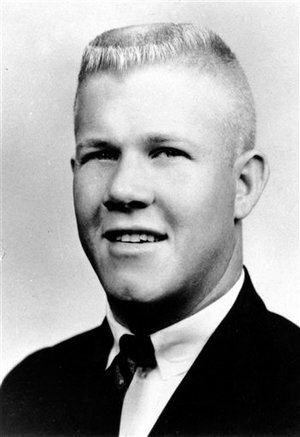 Just days ago, August 1, was the 50th anniversary of the gruesome 1966 University of Texas at Austin Tower sniping murders in which Charles Whitman, a 25 year old student shot 16 people to death and wounded 30 others. It took three brave police who forced their way onto the walkway on the tower, to shoot him to death with their pistols to end the massacre. Since as a psychiatrist, long interested in this kind of phenomenon since early unsettling forensic contact with a few shooters, I came across through my trust ever roving “search bots,” this article from NPR news on one of their blogs, recounting this fateful incident, “Gun Violence and Mental Laws, 50 Years After Texas Tower Sniper,” by Lauren Silverman. I was quite young then, but my father’s entire extended family was from Texas and we were riveted to the television as the “tapes” of the scene were played over and over on the evening news for a few days. I had been to the mall/quad/courtyard in front of the Tower before and since the incident, but watching the scene, especially the scene of the young man covering the body of a friend with his own in the open and being shot at, was literally unbelievable in that day and time. The entire nation stopped for a few days as the horrors of the event were absorbed and the trauma processed as best one could. I recall that it was one of those events that one who lived through it, would remember the rest of their lives, where they were when they heard the news and recalls the shattering effect of the evening television news scenes. It ranked in “trauma impact” up there with the assassination of President Kennedy, the Cuban Missile Crisis, the landing of Apollo 11 on the moon during that night in 1969 and other such indelible events that our brains cannot expunge. I have witnessed and thought long and hard on the medical marijuana issue and debate for decades. I was a too young college student, precocious and underage for a college student but more worldly wise than my “Doogie Houser” like age and circumstances would convey. I had lived in nearly half the states in the Union and over a dozen foreign countries and had many experiences than the usual late middle school aged youngster growing up in a well educated professional, college emphasizing family of my time. I had lived in countries that even in the 1960’s were paralyzed by national endemic drug use to such an extent that my father, a mining engineer had trouble finding sober, not stoned underground miners for his projects; those drugs were opiates, pot/hashish and khat. I went to college and medical school in one of the hot spots of the latter hippie years and centers of the drug revolution, Ann Arbor at the University of Michigan. I saw people all around me smoking dope, dropping acid, and experimenting with the early designer drugs, DMT etc. I was curious and observed all this just like I did the radical, anarchist white student power movements of those times, attending SDS and Weathermen meetings, hearing Tom Hayden, Rene Davis, Eric Chester, Abbie Hoffman and other lesser known student radicals of that tumultuous era give speeches at rallies and in small groups, talking about “kidnapping Kissinger,” and other idiotic things. Sitting in on some of the small group meeting-cabals, given that I came from a military family, I could look around the room, and silently count the FBI agents in disguise in attendance, chuckling and thinking to myself ‘how dumb can these people be?’ I became so interested in the student radical movements that enveloped my world in Ann Arbor, I did the scholarly thing, and did a dissertation that compared them to the radical anarchist movements in Russia before the Bolshevist Revolution of 1917 that brought Vladimir Lenin, Trotsky and the Communists to power, and have looked at radicals in those terms ever since.